I can be so obsessed with the little things like cute packaging sometimes so you can see why I'd be obsessed with how my keys are looking. 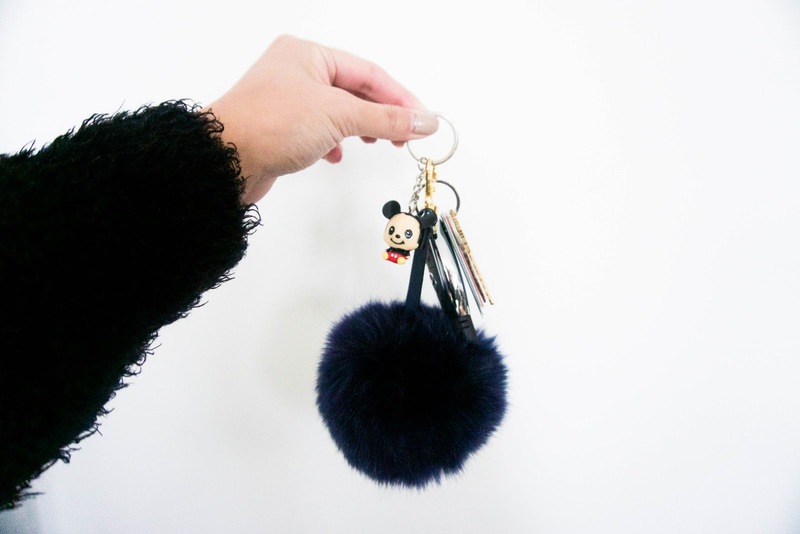 The whole pom pom trend is a thumbs up in my book because I think they're super cute and add a little character and glam to your stuff. I even have a grey faux fur one I bought on eBay for one of my bags. This pretty deep blue one was gifted by BooHoo at one of their events. I was soooo happy when I got it. The cute little Mickey is from a friend. I asked him if I could have it cause I love Disney characters when they're mini and baby-like. Super adorable. 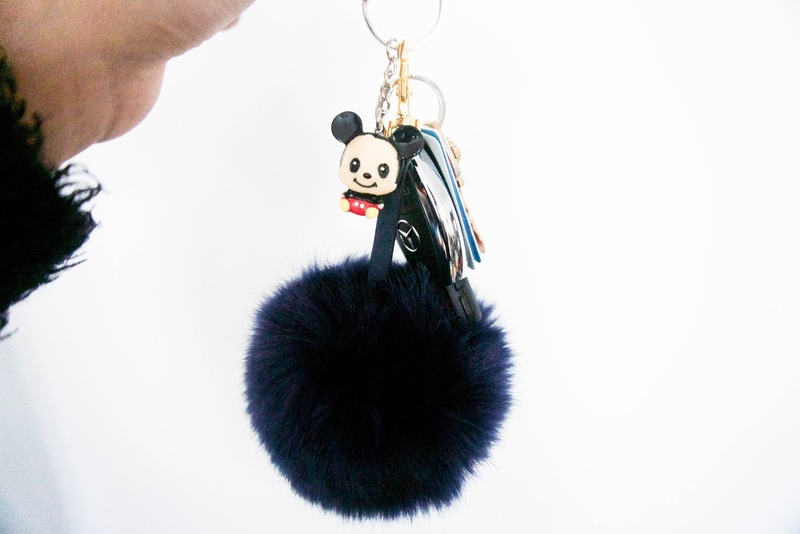 I don't think I'll add anything else to my keys (maybe one more keychain) so it doesn't end up being bulky.